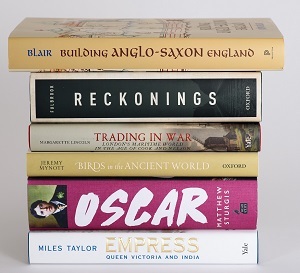 The shortlist for the 2019 Wolfson History Prize - at £40,000, the most valuable non-fiction prize in the UK - has been announced. "A guide to a world now almost utterly lost and wholly unrecognisable. Drawing on decades of research and richly illustrated, Blair's book provides us with a panoramic view and a startling new interpretation of the Anglo-Saxon world." "Quoting many moving accounts from victims of the extreme cruelty perpetrated by the Nazis, Fulbrook moves through the generations to trace the legacy of Nazi persecution in postwar Germany. A masterly work which explores the shifting boundaries and structures of memory." 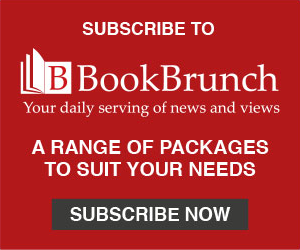 "Covering crime and punishment, shipbuilding and repair, smuggling and much more, this lively account recovers the forgotten people of maritime London, the commercial centre which sustained a global empire." "Charming, quirky, and lavishly detailed, this beautifully illustrated book helps us to understand ancient cultures from the unfamiliar angle of the ornithologist." "An authoritative and tremendously readable biography of Oscar Wilde by an author who brings to life a man whose anarchic genius never fades. A superb, original and balanced study." "It is hard to write something new and original about Queen Victoria, but Miles Taylor succeeds triumphantly. An engaging and impeccably researched account that throws fresh light onto the British Raj. Victoria will never seem the same after this." The judges are David Cannadine (chair), Richard Evans, Carole Hillenbrand, and Diarmaid MacCulloch. The winner will be announced at a ceremony at Claridge's Hotel, London, on Tuesday 11 June. In addition to the winner's cheque of £40,000, there are £4,000 cheques for each of the runners-up. Radio 3's Free Thinking will broadcast a debate involving the shortlisted authors on Tuesday 7 May.